The first ICPL was on the second floor of the C.O.D. 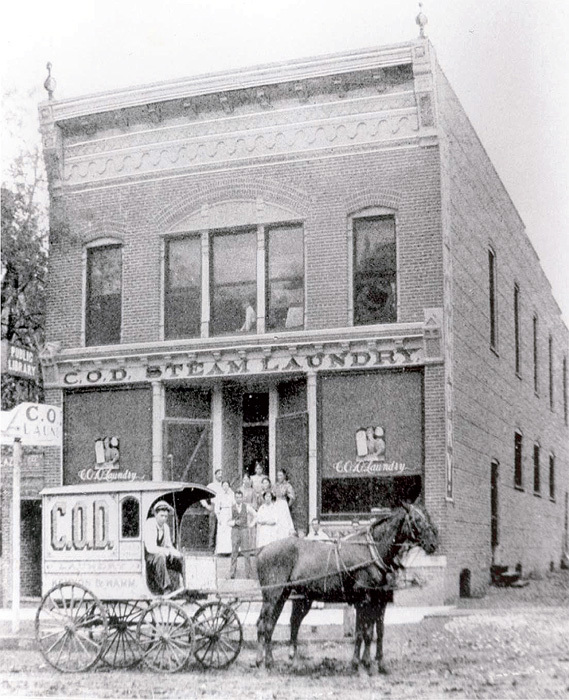 Steam Laundry building at 211 Iowa Ave. opening its doors on Thursday January 21, 1897. The library initially employed one librarian and held a total of 1,300 books. Public outcry for more positive spaces for Iowa City's youth was a major catalyst in the public library's inception. “C.O.D. 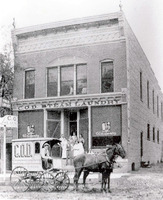 Steam Laundry Building, 1897,” Iowa City Public Library, accessed April 19, 2019, http://history.icpl.org/items/show/192.